With the inception, GIFs have changed the way people respond on the social media sites. They became more interactive to say what they feel and there is no surprise that format has gained popularity. The visual significance of the comment is supported by the short and precise format of GIF to make it very important feature on the social media site like facebook. People can check the popularity by the fact that there are about 13 billion GIFs, which were sent on the Messenger and it is roughly 25,000 GIFs every minute. Although facebook has popularity but it has one limitation as it does not have the built-in GIFs feature for the comments. When you celebrate the 30 years of GIF, facebook finally addressed the issue and declared that it has rolling out support for GIFs in facebook comments. People who love to communicate with GIFs on the Messenger and the make it easier to use the GIFs on the facebook. 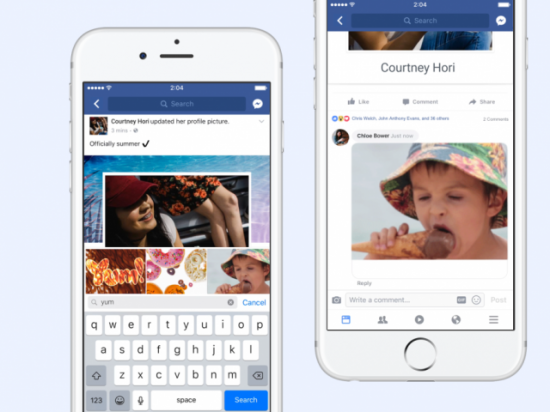 They introduce the ability to add GIFs in the comments for people on the facebook globally. They need to tap on the button of GIF when they like to comment and type what they look to say and add the GIF. The feature allows them to look for GIFs with the use of built-in feature but there is no option for custom GIFs. They can add specific GIF, which will be more difficult and they cannot upload the GIFs or post the GIFs through URL like the normal facebook post.